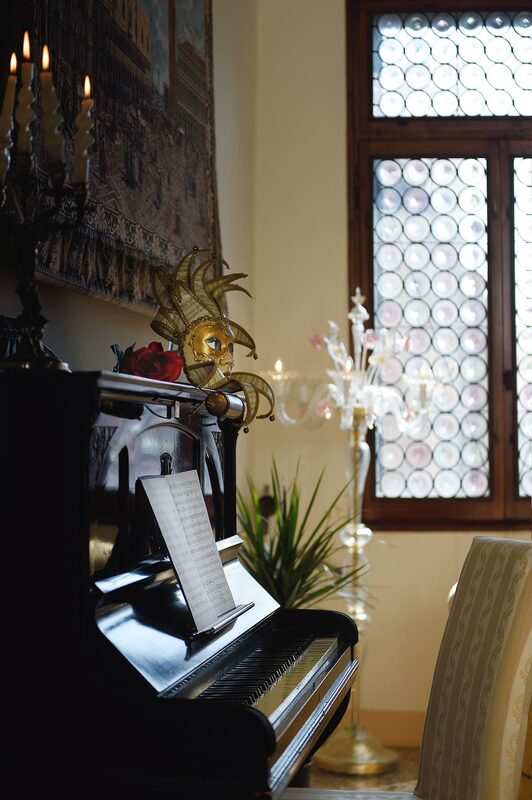 The lighting has been created by the expert hands of the glass masters of Murano. 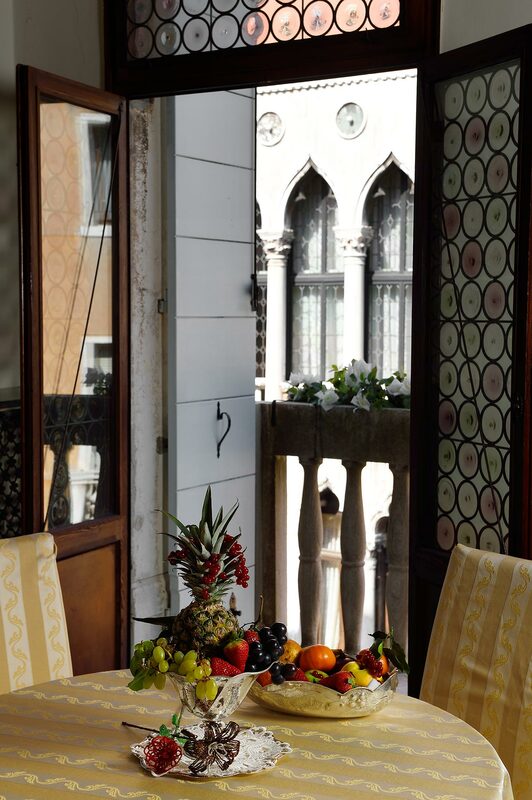 The privileged position of the hotel offers a spectacular view to the guests from all rooms . 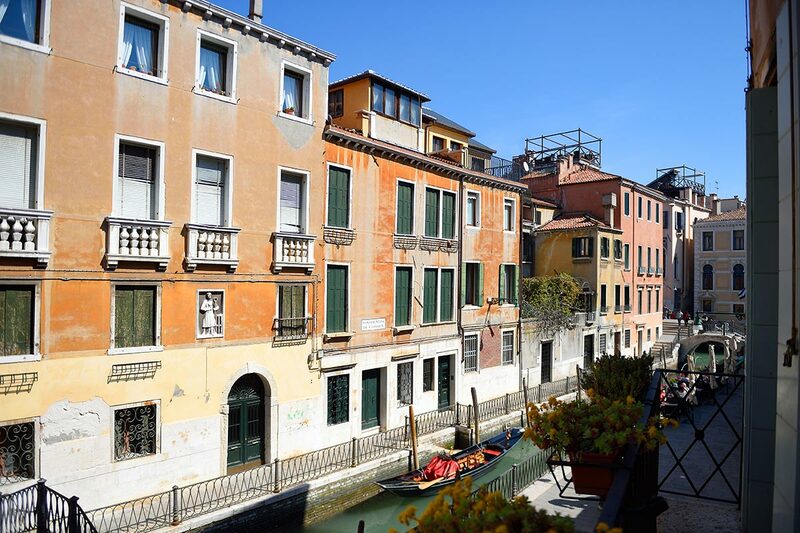 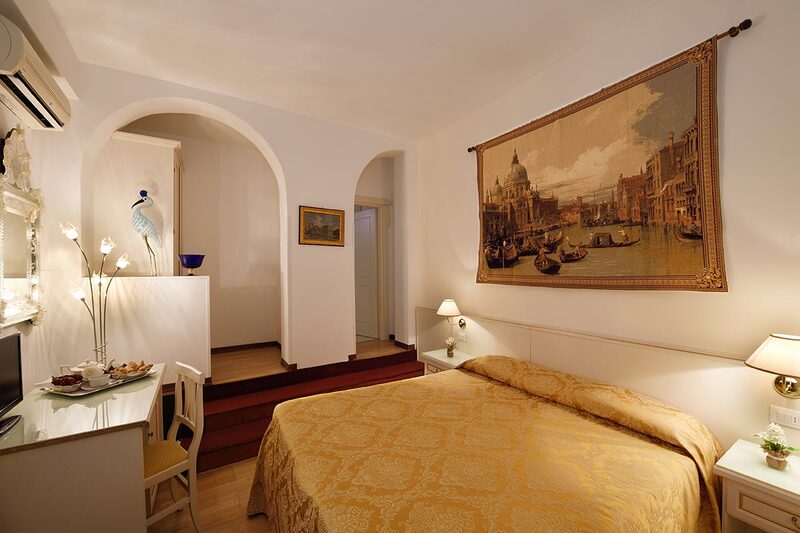 From the large and well lighted windows the guests will have the possibility to admire the canal below with its bridges , the gondolas passing by, the dome of San Giorgio church, the bridge of Greci, the typical inner courtyard with its well. 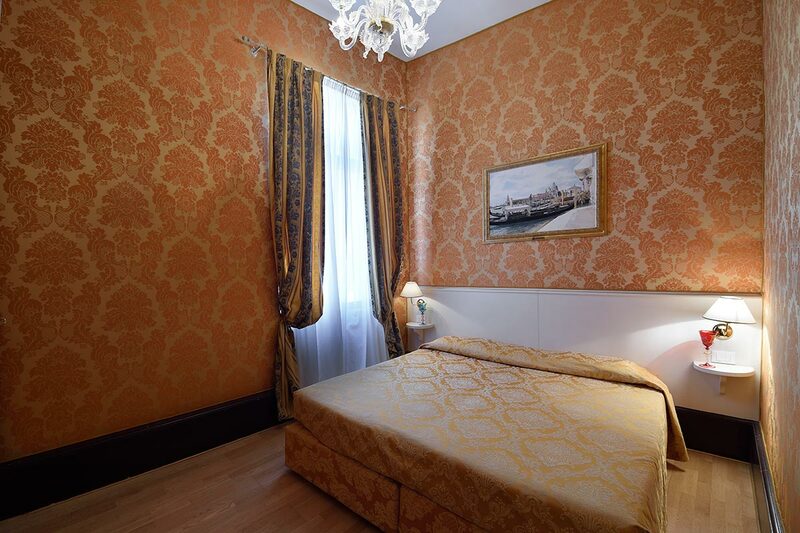 The house also offers to the larger families the possibility to reserve apartments composed of more rooms and prestigious common living spaces for their exclusive use. 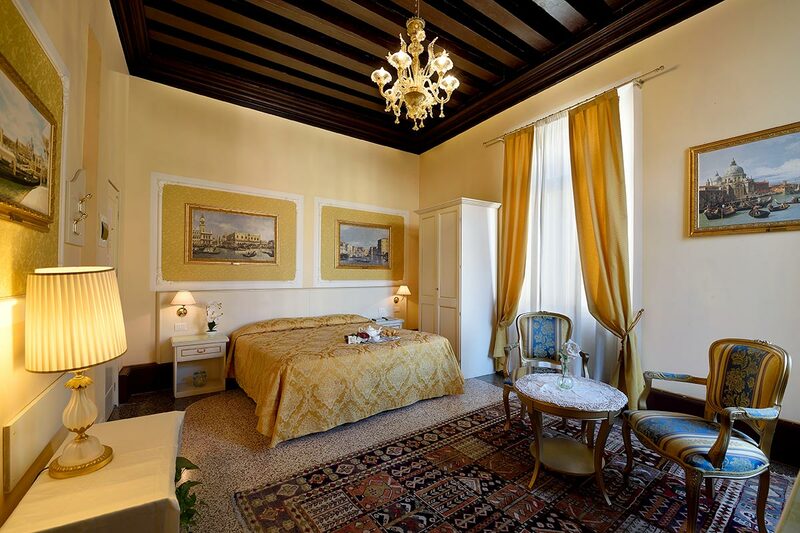 Please kindly contact the hotel reception in order to receive rates and further details if these are needed. 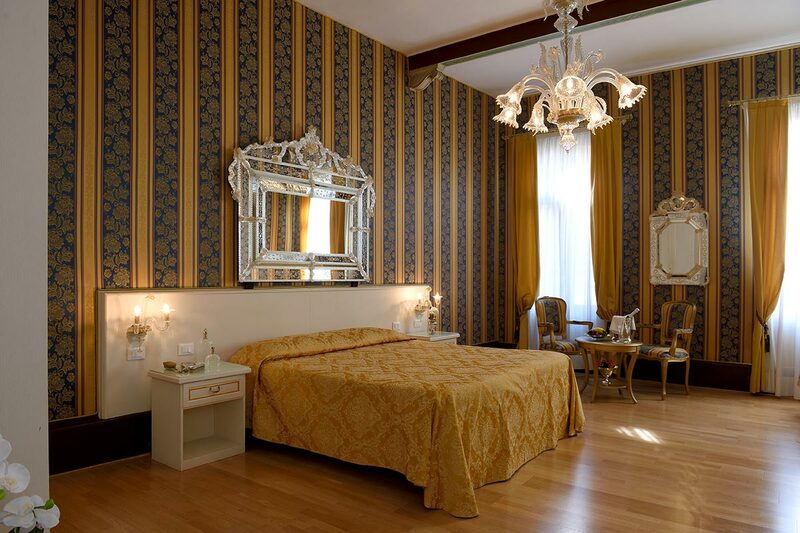 These rooms are furnished in a classical style. 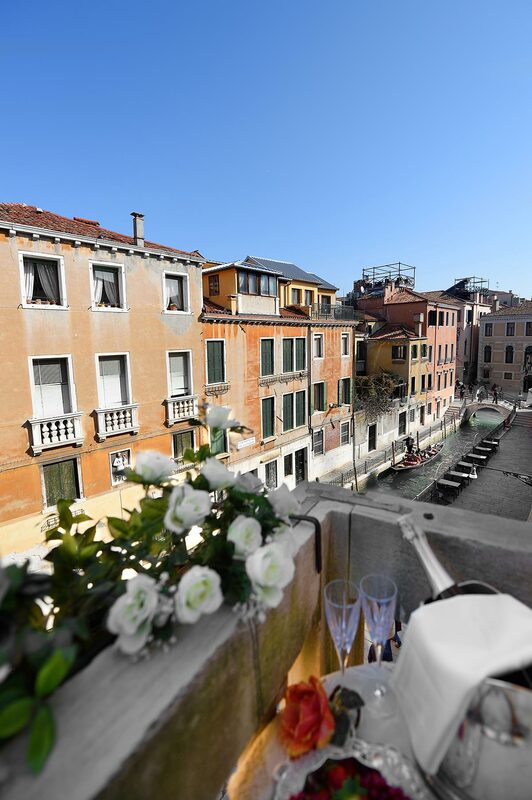 Overlooking the inner courtyard they are all equipped with self-regulating air conditioning, private bathrooms with shower, hair-dryer, satellite TV, telephone, safety-box, minibar and complimentary WI-FI internet access. 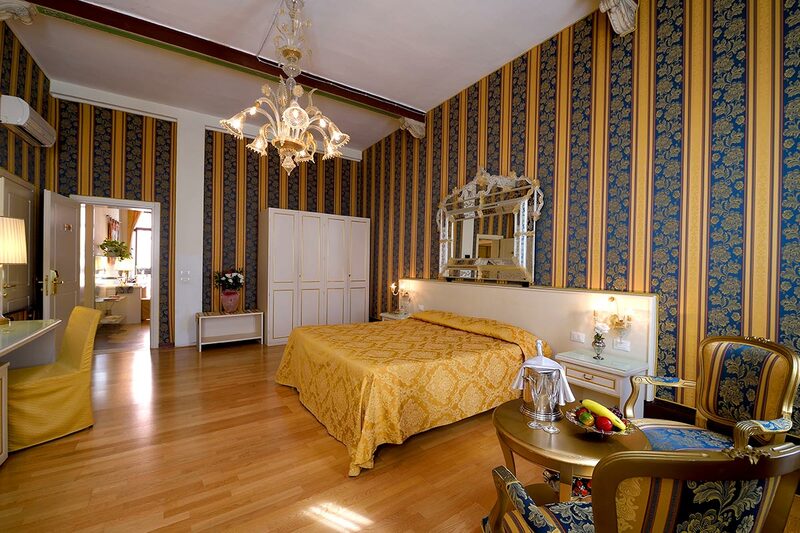 Overlooking the Osmarin canal these rooms are more spacious, furnished in a classical style and decorated with plasters or precious damask fabric on the walls. 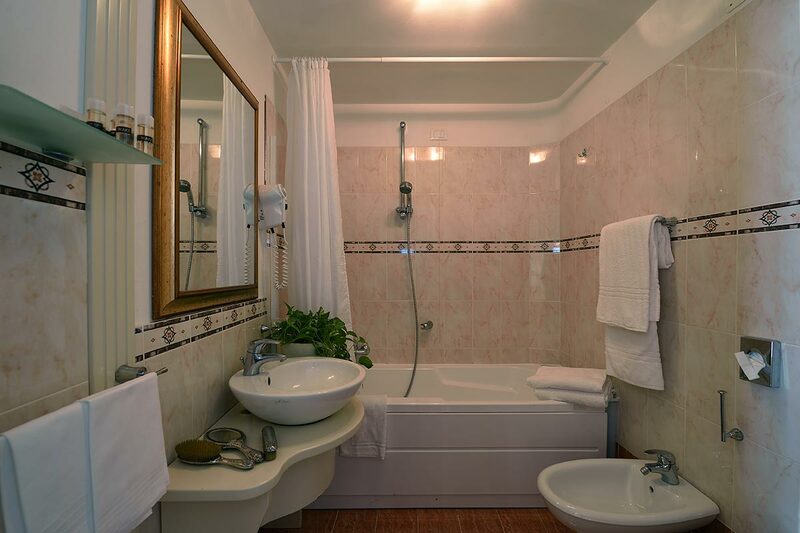 They are all equipped with self-regulating air conditioning, private bathrooms with shower, hair-dryer, satellite TV, telephone, safety-box, minibar and complimentary WI-FI internet access. 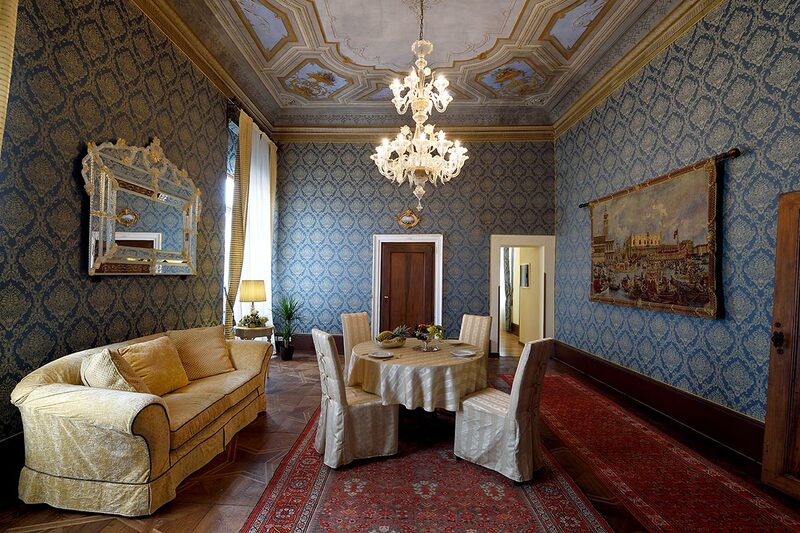 They are the most prestigious rooms in the house. 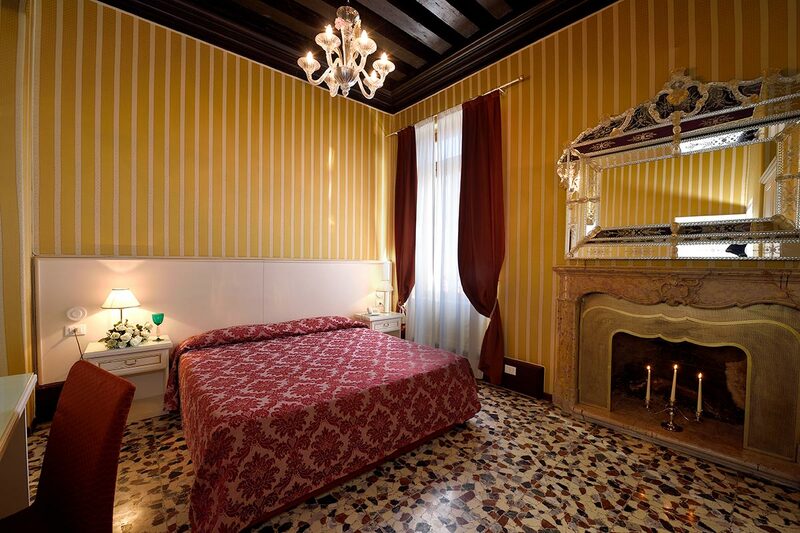 They are spacious and provided by a comfortable interior living area . 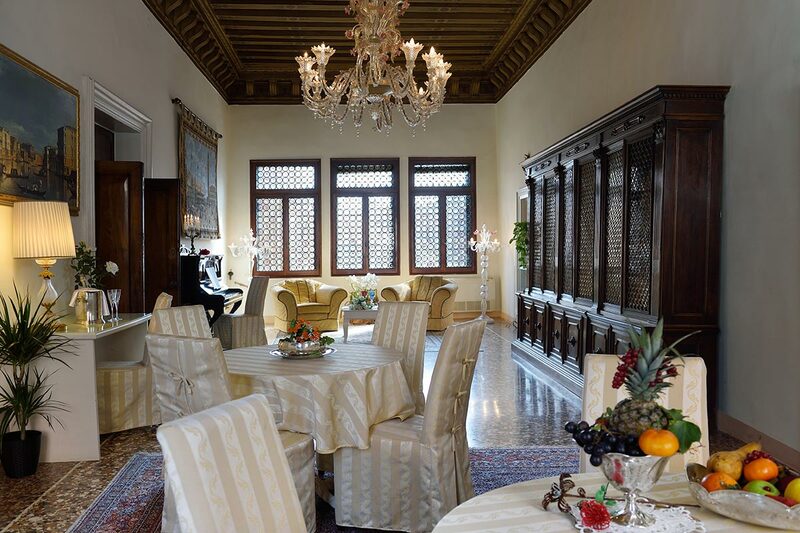 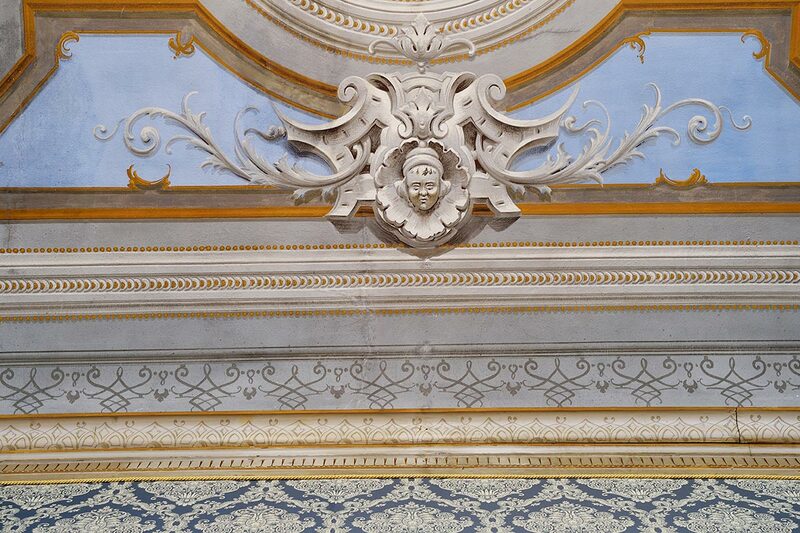 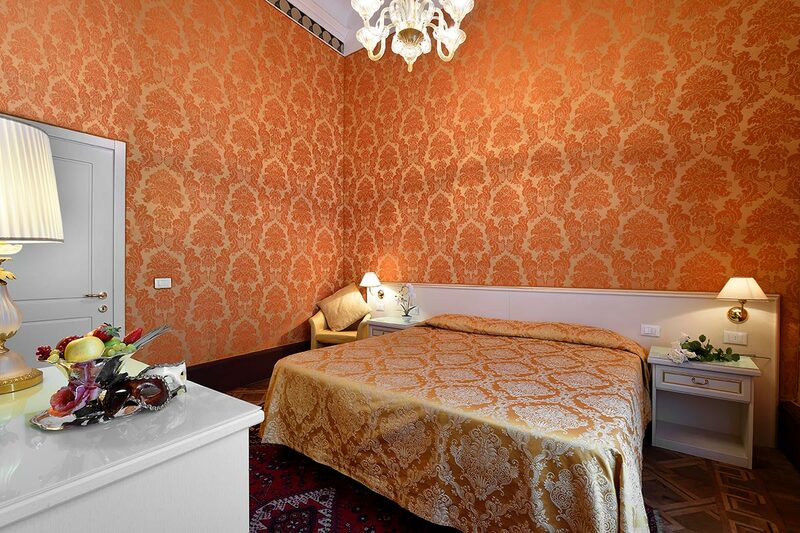 They are furnished in a classical style and decorated with plasters or precious damask fabric on the walls . 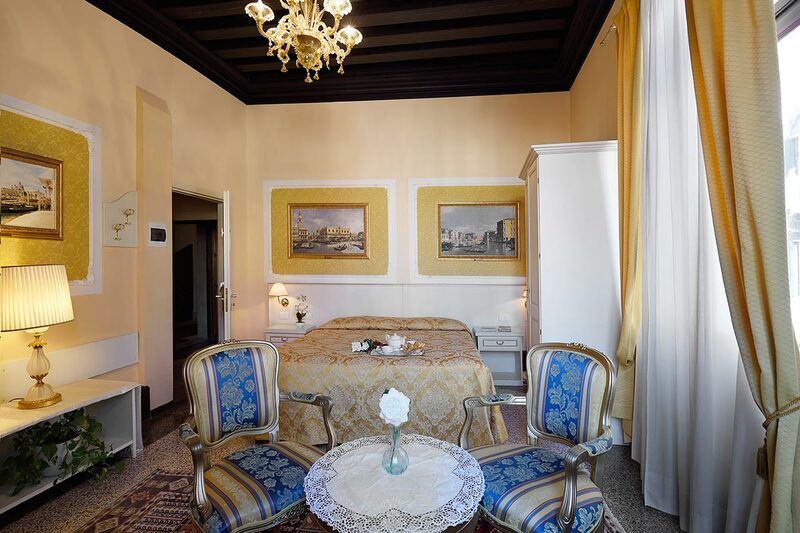 They are all equipped with self-regulating air conditioning, private bathrooms with shower, hair-dryer, satellite TV, telephone, safety-box, minibar and complimentary WI-FI internet access. 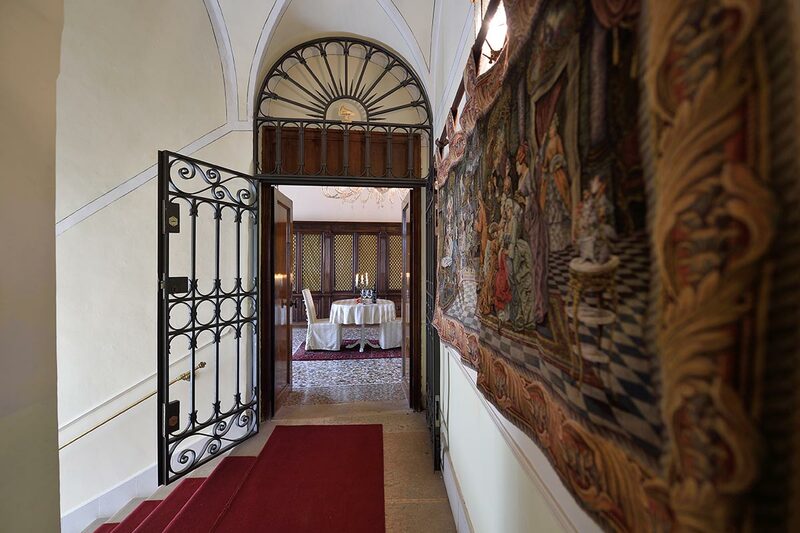 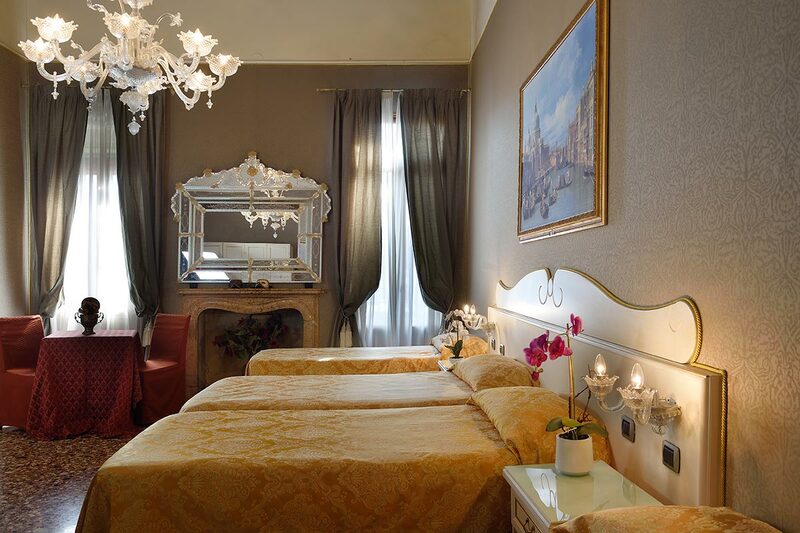 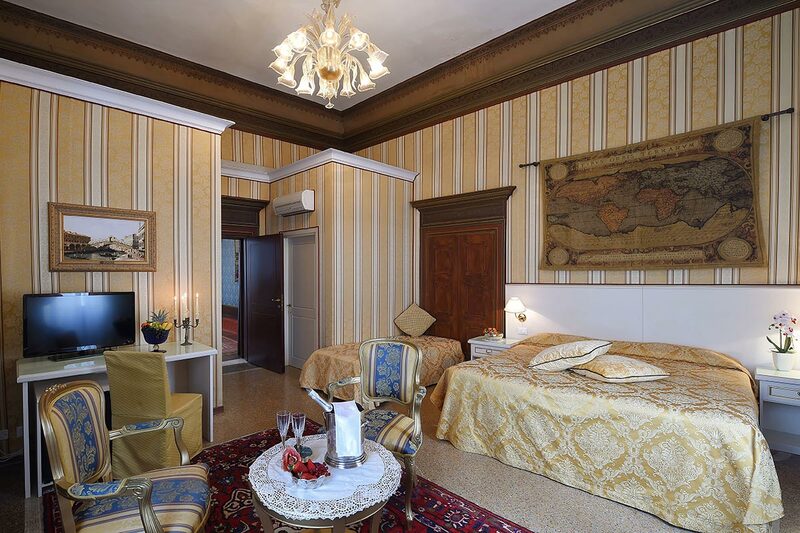 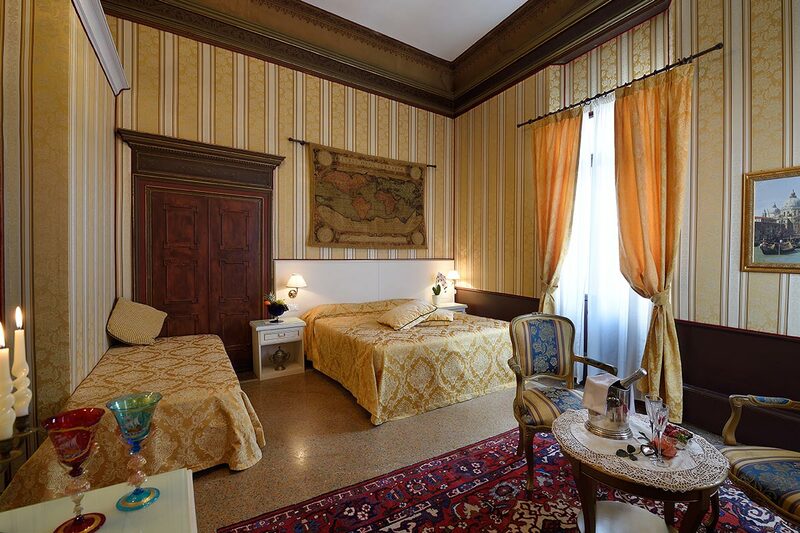 Example of Bed & Breakfast "Piano Nobile"
Facing the inner court or the Osmarin canal the B&B give to the larger families the possibility to reserve apartments composed of more bedrooms and prestigious common living spaces for their exclusive use. 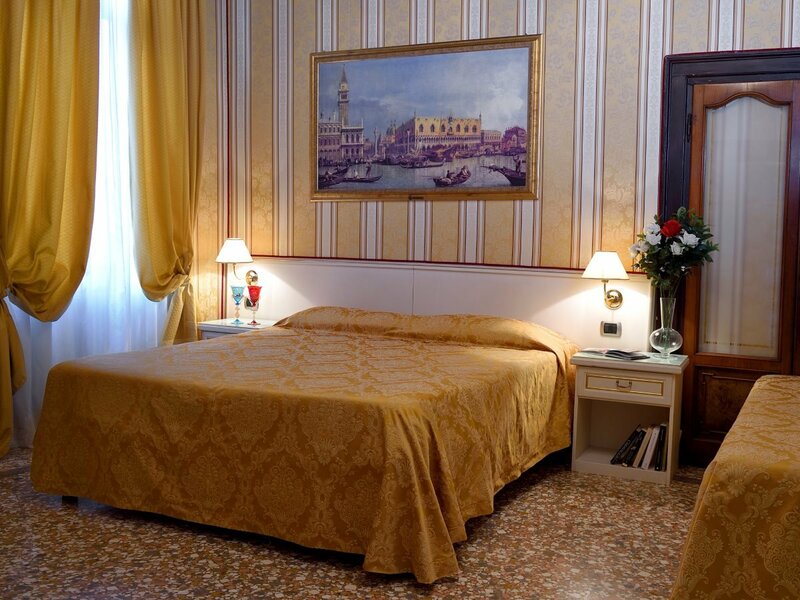 All the rooms are equipped with self-regulating air conditioning, private bathrooms with shower, hair-dryer, satellite TV, telephone, safety-box, minibar and complimentary WI-FI internet access.